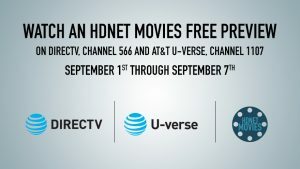 Los Angeles – Aug. 30, 2016 – DIRECTV and AT&T U-verse HD subscribers will receive HDNET MOVIES for free, as part of a special free preview of DIRECTV’s “HD Extra Pack” and U-verse’s “HD Premium Tier,” from Thursday, Sept. 1 through Wednesday, Sept. 7. During the free preview week, the high definition movie network will showcase a number of star-studded movie blocks, headlined by the critically acclaimed military drama JARHEAD and its 2014 sequel; as well as a “Supernatural Sightings” three-pack featuring the fan-favorite hit THE X-FILES: I WANT TO BELIEVE; a Labor Day Weekend “Men At Work” Marathon starring action icons Sylvester Stallone, Bruce Willis, and John Wayne; and more. 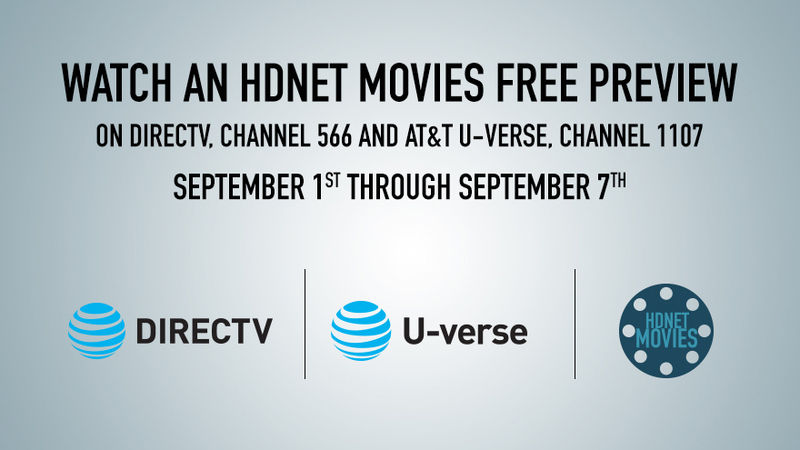 Enlist with HDNET MOVIES, as the network deploys a night of military dramas in the “Action Double” block Sept. 2. The night kicks off at 8pE, with Jake Gyllenhaal as a U.S. Marine struggling with unresolved issues back home in JARHEAD. And Josh Kelly and Cole Hauser team up for a tense rescue mission in JARHEAD 2: FIELD OF FIRE, at 10:10pE. HDNET MOVIES goes out of this world with a three-pack of “Supernatural Sightings” on Sunday, Sept. 4, opening with James Cameron’s Oscar®-winning sci-fi epic THE ABYSS, with Ed Harris. Then, George Clooney stars in the psychological space mystery SOLARIS, at 10:30pE. And David Duchovny and Gillian Anderson uncover a sinister organ harvesting scheme in THE X-FILES: I WANT TO BELIEVE, at 12:15aE. HDNET MOVIES celebrates Labor Day with some of cinema’s manliest stars in the “Men At Work” Marathon on Monday, Sept. 5, at 6pE. The day begins with Western hero John Wayne as a daring firefighter in HELLFIGHTERS; followed by Sylvester Stallone in the Rocky Mountain thriller CLIFFHANGER, at 8:05pE; Bruce Willis in the quintessential action classic DIE HARD, at 10pE; and John Cusack and Billy Bob Thornton in PUSHING TIN, at 12:15aE. Other highlights during the week include Jason Statham in the 2008 heist thriller THE BANK JOB Sept. 1 at 9:45pE; a night of horror on Sept. 3, featuring Wes Craven’s groundbreaking slasher opus SCREAM 2 at 8pE, and the Bruce Campbell cult favorite ARMY OF DARKNESS at 10:05pE; and the Paul Newman baseball fable THE NATURAL, on Sept. 7 at 5:35pE.